We will start working on your project once you order a package and we receive payment. Visit our pricing section, select one of our many packages, choose any additional extras available within the package and add to basket. Once you have gone through the checkout process and made the initial payment, one of our designers will be in contact within 24 hours of receiving payment. Contact us via phone or email and we can discuss your needs, provide you with a quotation and begin the order once your are happy and the initial payment has been made. Yes. If you wish to build a bespoke package, you can do this by contacting us via phone or email or by visiting the pricing section and scrolling down to the ‘Create Your Bespoke Package’ form. One your send the form, we will get back to you within 24 hours to discuss your needs and answer questions you may have. Your designer will be able to give you a timeframe for each phase of your projects lifecycle. Can you work on projects over the internet? Yes. Not all of our clients are local, so we cater to clients over email and also phone. How many changes can be made to each design? Your designer will suggest which one would be suitable for the size of your project but it will be entirely your decision of course. Can I add additional items or make changes to an existing order? During the course of your project, you may add additional items if you please but changes to other services once they have began can only be made within reason. Once a service within a project has began, the service in question cannot be cancelled. Your designer will give you an estimated time of completion. Please Note: Handover cannot be complete before the final payment has been made. How long can my order take to complete? Any ideas or requests for your future logo are welcome and you may indicate them during the start of the project, or contact your project coordinator. Please be as specific as possible. Yes. Please provide us with the latest version of your logo design, and mention it in your logo request. What is a corporate image? Corporate images are very simple, which makes them unique, memorable and highly recognisable from any distance and at any size. What files formats can I add to my order? You can get optimised bitmap files for the WEB: (*.GIF 72dpi, *.JPEG 150dpi, PNG-24 (transparent)) , high-resolution image (*.TIFF 300dpi), scalable vector files for printing (*.ai, *.pdf, *eps) in RGB and CMYK colours. Vector files are files that you can resize, scale, and even change colours or fonts without loosing any quality or resolution on your image. Vector files are mostly used by professional designers or print shops. Vector files are used on specific vector based software applications such as Adobe Illustrator. Currently we only accept online bank transfers but we are in the process of getting our PayPal services up and running in order to accept payments through PayPal and allow card payments using all major cards. Do you design marketing material such as flyers and brochures? Yes, Sky Guardian can cater to your pre-print marketing needs. Do you design restaurant menus? Which stationary items do you design for companies or freelancers? If there is anything else you require, please contact us to see whether we can accommodate you. Which content management system do you setup? We predominantly work with Wordpress as we believe it to have great usability. Will my website work on all devices and screen sizes? Yes, if this is specified from the beginning, we can make your website mobile & tablet friendly and allow it to respond to many different screen sizes. Can you create online shops? Yes, We are able to set you up with Wordpress and create you a wonderful content managed e-commerce store. 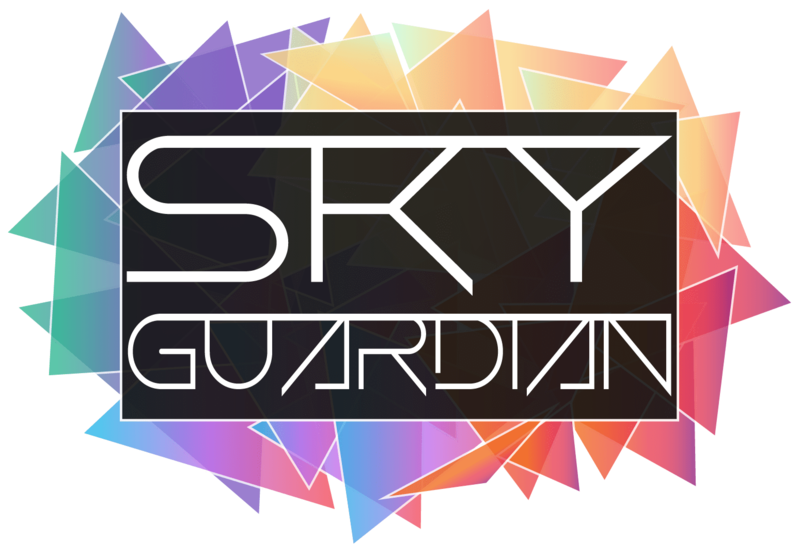 Does Sky Guardian offer website maintenance? Yes, We offer monthly to yearly maintenance. What other products can you design? If you have a custom request, get in touch with us and we can try to meet your needs. A copyright protects original works that fall under the categories of literature, dramatic, musical, artistic, and intellectual. These works may be published or unpublished, and the Copyright Act of 1976 gives the owner exclusive rights to reproduce their work in any medium. A copyright protects a form of expression, but not the subject matter of the work. For example, if someone wrote an article about a new car on the market, the text would be copyrighted, preventing someone else from using that particular material. However, a copyright does not prevent others from writing their own original article about this new car, or from using or making the car themselves. A trademark is used to protect a word, symbol, device or name that is used for the purpose of trading goods. The trademark indicates the source of goods and distinguishes them from the goods of others. A trademark may also be used to prevent others from using a mark that might be confused with another; trademarks, however, do not prevent other people or businesses from producing the same product or services under a different mark. Who keeps the rights of the designs? All the rights of the Artwork, Logos and other designs we create for our customers can be transferred to our customers. However, we retain the right to market designs we have completed through our online, social media and hard copy portfolios. Do you provide trademark services for logo and brands?